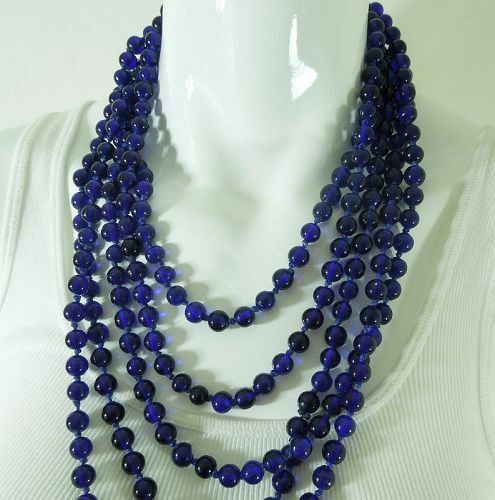 Gorgeous super long 1970s or 1980s necklace with cobalt blue poured glass beads hand knotted in a continuous strand with matching blue thread. Super luxe and sumptuous. The colors are slightly variegated, and the blue is a bit warmer than the photos may show. A whopping 126 inches long. Beads are 1/4 inch in diameter. Excellent condition. Display form is life size. Photos enlarged to show detail.